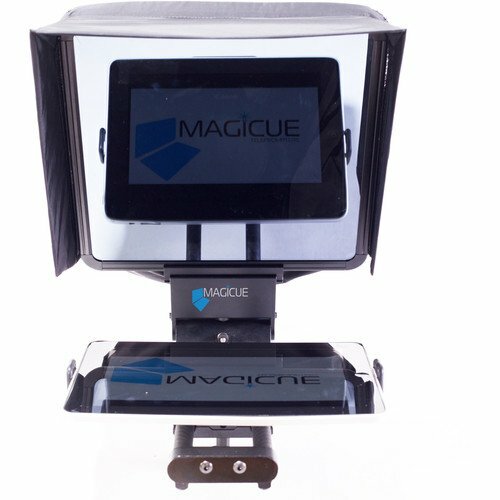 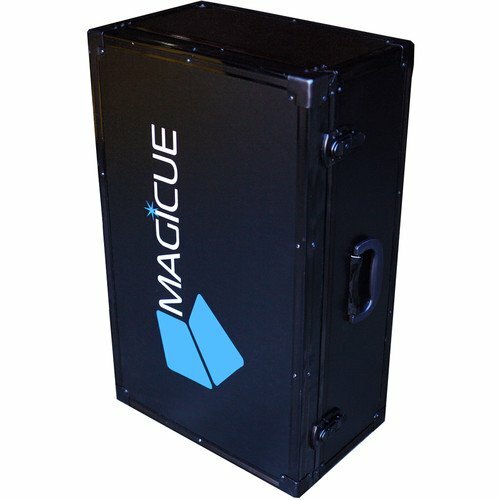 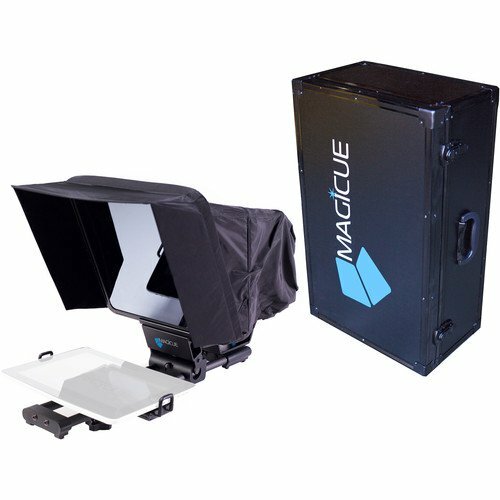 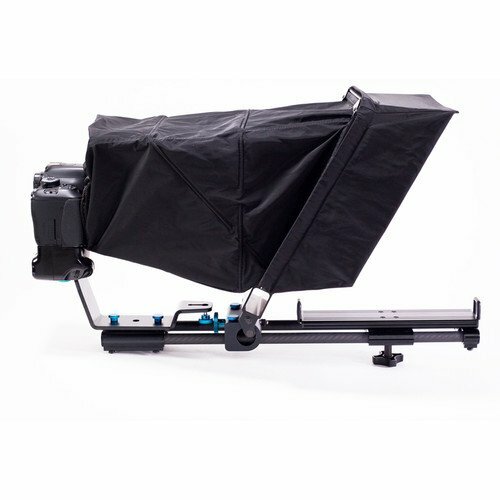 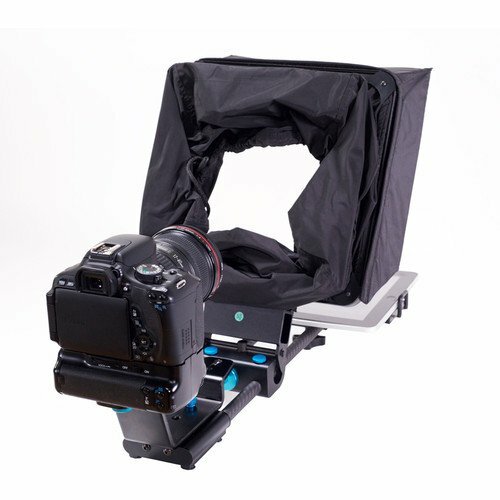 The Magicue Mobile Teleprompter Kit with Aluminum Hard Case is a modular teleprompter that supports mobile devices as an alternative to using a monitor. 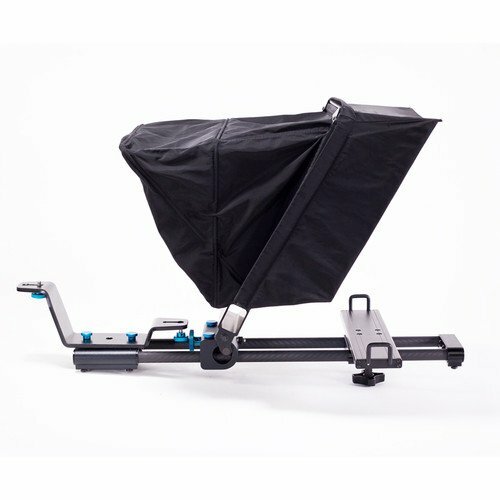 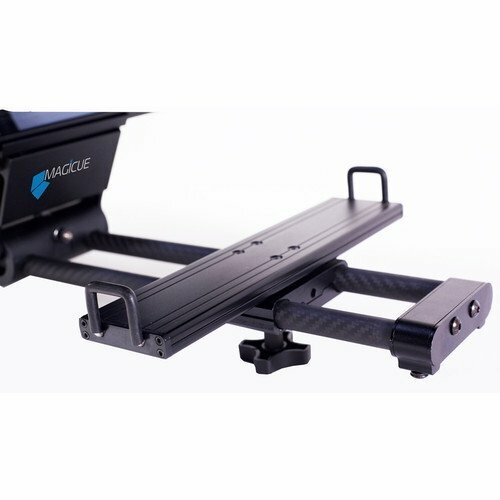 It features an adjustable cradle that fits any mobile device measuring 9-15″ diagonally, and it’s suitable for prosumer and professional applications. 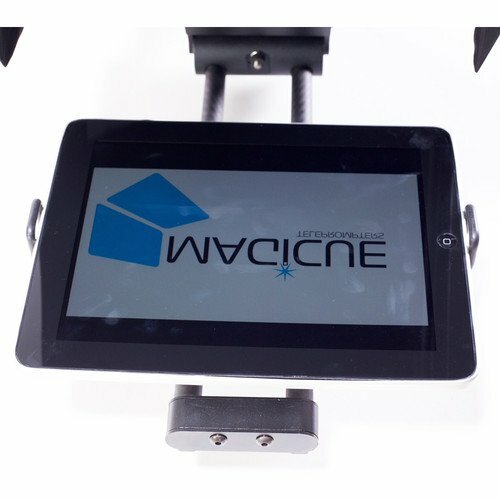 It fully supports the 12.9″ iPad Pro. 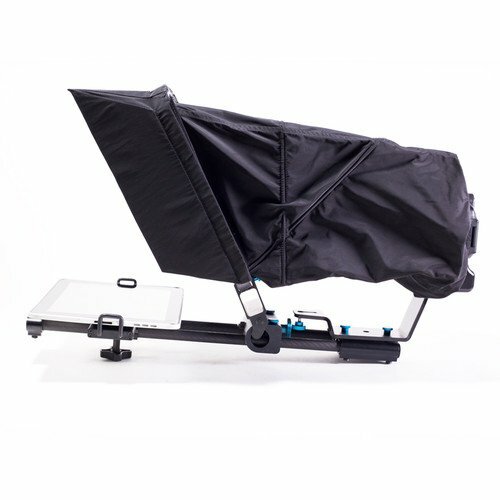 It even supports the iPad Pro with select cases that aren’t too thick. 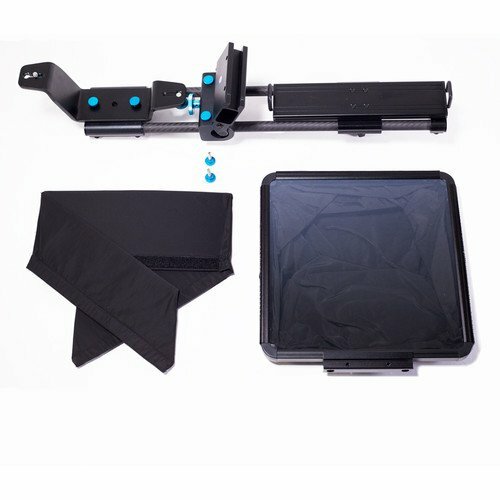 Moreover, the included beamsplitter glass is 13″ diagonally and fully captures and displays the entire iPad Pro screen. 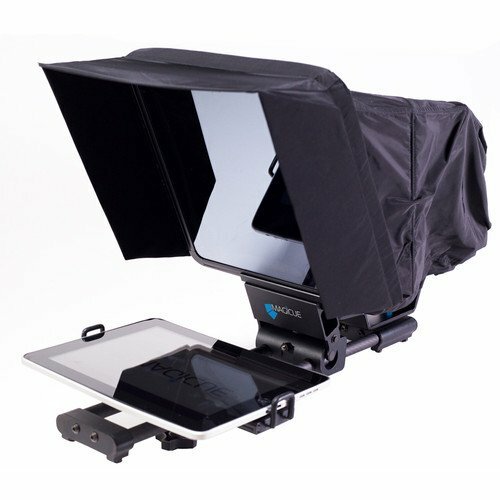 The 60/40 beamsplitter glass clearly displays scrolling text from up to a 15 ft reading range. 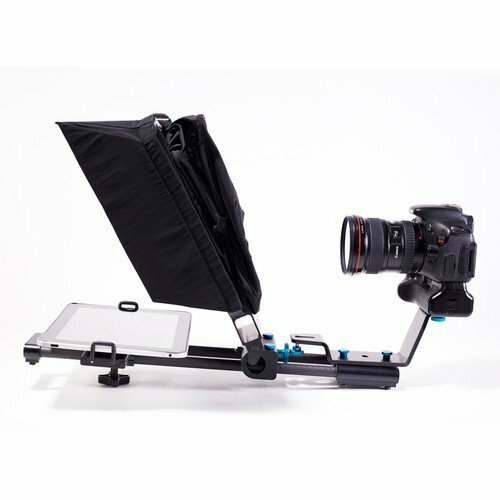 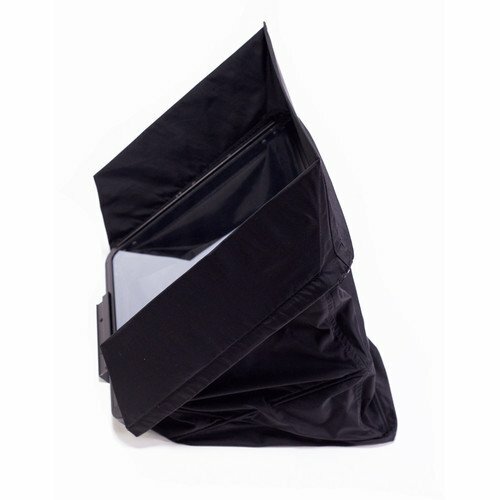 Weighing 6 lb, it is compact and lightweight yet sturdy. 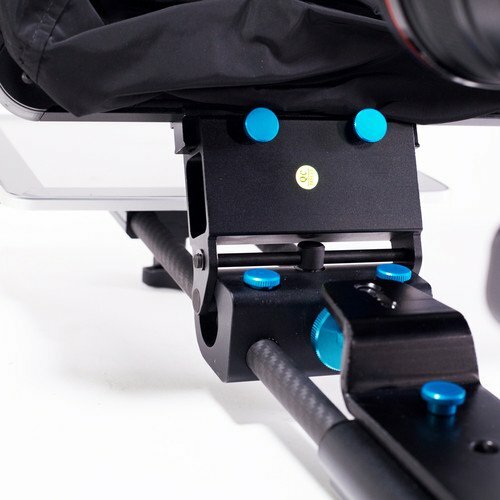 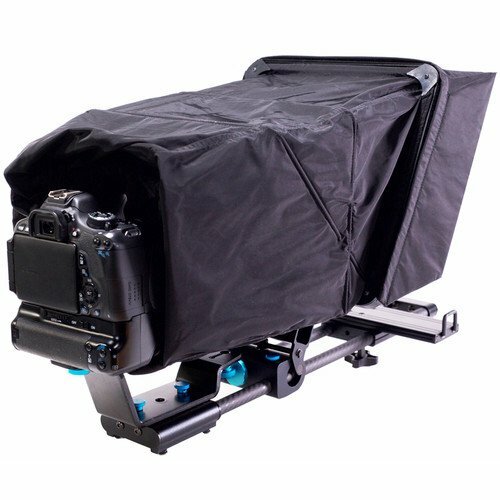 The system works with any standard size tripod supporting the required payload capacity. 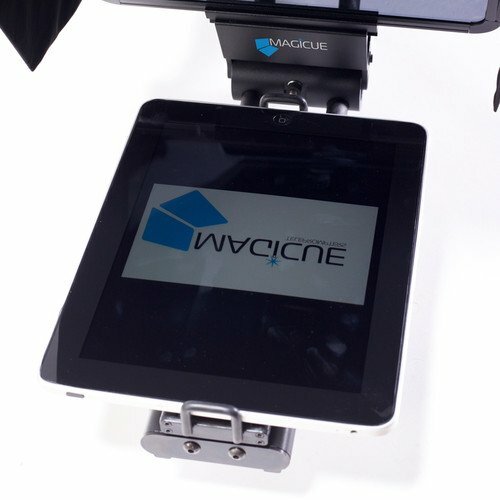 Any prompter software compatible with your mobile device can be used and can be found at the Apple App Store. 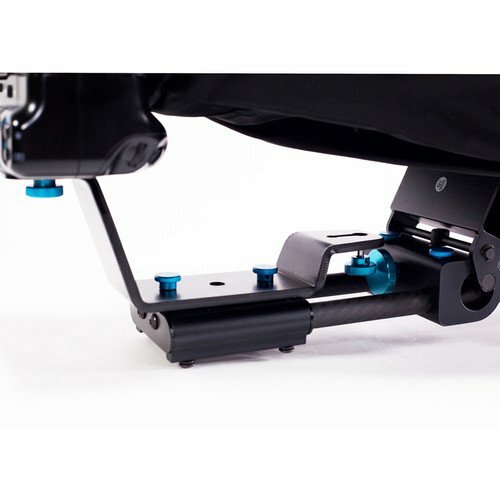 Assembly is simple as no tools are required and there are no monitor cables to deal with. 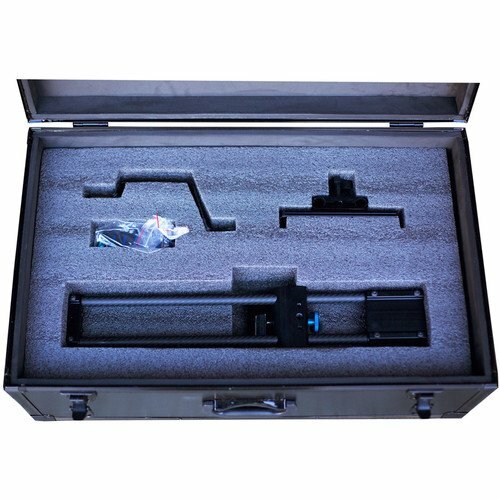 The system folds flat for convenient transport and storage in the included aluminum skinned hard case with plywood construction and custom cut foam. 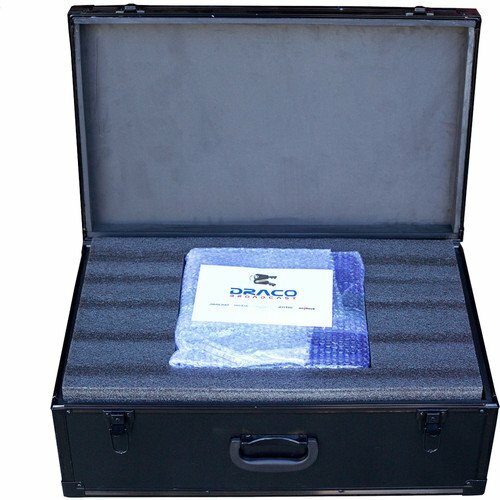 Box Dimensions (LxWxH):	27.0 x 25.0 x 13.0"